The hub of youth football in Portsmouth. 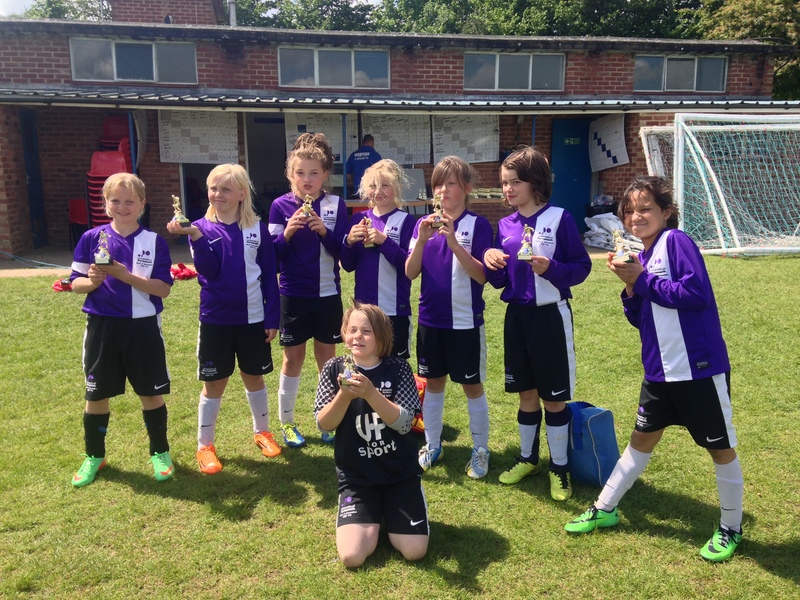 Soccer Scholar Academy and the University of Portsmouth Community Football Club have completed a formal partnership to develop a comprehensive football based pathway for young children through to young adults catering to the demands of players of all abilities, ages and gender. 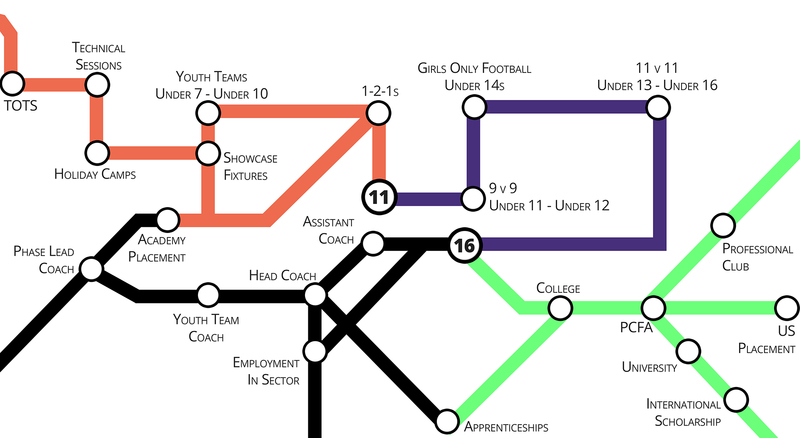 Due to our extensive links with reputable organisations within the city and further afield, we have managed to create a variety of exit routes covering playing, coaching or education, which is to ensure players have additional options outside of their playing ambitions. If you are having issues with the location of the links - Click here to refresh. Many Thanks once again for bringing your side down on Tuesday. I thought your players were a credit to you all and performed very well during the evening. The style of football was pleasing to see, with players showing ability to pass and move the ball through the pitch but also displayed impressive individual ability. It is clear you have a philosophy and a belief in the way to develop players, that is reflected in the players passion to play in a different way than their peers. Have to say I found your approach and the manner and spirit in which your boys played refreshing in respect of enabling the boys to play without fear, in the right way, with the focus being on the individual and team development in preference to a win at all costs mentality. The way you set the boys up to play was a delight to watch your work resulting in some lovely passing and movement through transition. Development, Opportunity, Dedication, Supportive and Fun are words I would use to describe SSA. Henry has been with SSA for 1.5 years and they have helped him DEVELOP into a fantastic little player which has given him the OPPORTUNITY to be scouted by 5 professional clubs, The coaching staff are DEDICATED and SUPPORTIVE to all players and everyone has FUN. Henry loves his SSA football family. Cannot recommend this club enough. My boys go here usually 3 days a week in the summer holidays and they absolutely love it! Coaches are enthusiastic with lots of experience! Oliver had his first session today and absolutely loved it! Thank you to all the staff who were friendly and approachable. Its a well organised club with a great atmosphere. Thanks again. Louie has been on half term club this week and loved it as always! Based in Portsmouth we are a well established local company with over 20 years experience. Having completed in excess of 400 loft conversions we provide a full in-house Architectural and structural calculations service. We are able to beautifully design and construct the most complex of conversions giving you total peace of mind before, during and after the process. We pride ourselves on our workmanship and personal approach to each unique project. Expanding your home can be a complex task and will need considerable commitment from all the participants involved. Our dedicated team of Surveyors, Carpenters, Roofers, Electricians, Plumbers and Plasterers are fully committed to providing the highest quality service possible. Our employees are fully qualified tradesmen, employed for their expertise and skill (no sub-contracting). All the products and materials we use are of the highest quality and all our loft conversions come with a 10 year guarantee. If you are considering a loft conversion then visit www.loftsUK.com or call 023 9261 5237 to arrange your FREE no obligation feasibility survey. If you have any queries or require more information, please use the form below to contact the team.